Thousands Hit Our Streets for Life! It has been AWESOME to see pro-lifers courageously stand for life this January, both in DC and across Louisiana. I am excited for this Saturday in Alexandria. As long as the weather holds it could be the largest pro-life gathering in our state's history! Our Director of Outreach, Pastor Brian Gunter, and Cenla Pregnancy Center's Claire Lemoine joined KALB's Morning Show in Alexandria to give a preview of the event and progress on the pregnancy center. Check it out! Hope to see you Saturday in Cenla. If you can't make it, check our Facebook page for live coverage of the event! 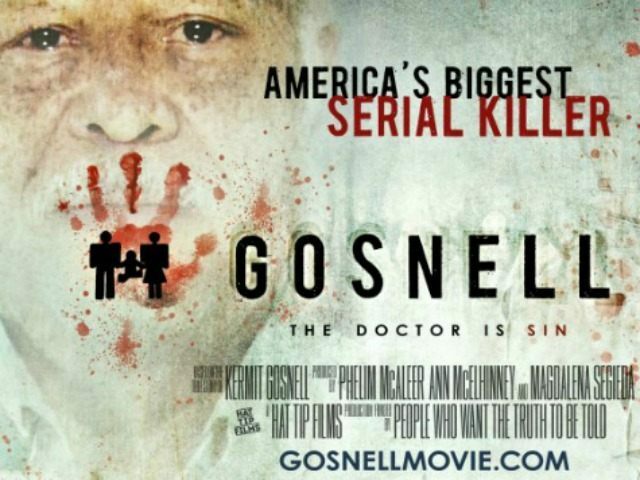 A few tickets remain for tonight's free pre-release screening of the movie Gosnell, the true story based on the actions of Philadelphia abortionist Dr. Kermit Gosnell who is serving life in prison after being convicted of murdering three infants born alive during attempted abortion procedures. The film will be shown tonight (Feb. 1) at 6:30 in the Magnolia AB room on the ULL campus. Producer Ann McElhinney will speak at 6 p.m. The first PULSE Immersion Weekend of 2018 is Feb. 23-25 in Baton Rouge, and the early bird registration period will end soon! The weekend will be held at Camp Istrouma, and students will have the opportunity to pray at an abortion facility, have lunch at the Governor's Mansion, grow in pro-life knowledge and persuasion skills, discuss effective activism, hear beautiful testimonies, and hang out with fellow pro-life students from around the state. Cost is $60 per student until Feb. 9, when the price increases to $75 per student. Plans are being formalized for the first Acadiana Life Fest, set for Saturday, April 21 at Parc International in Lafayette. This will be a pro-life, family friendly celebration a live music, food, vendor booths, activities for children and more. Visit the website, AcadianaLifeFest.com, to become a sponsor and stay informed as new information becomes available. The 45th Memorial for the Unborn, an annual event commemorating those unborn lives lost to abortion since the Roe v. Wade decision in 1973, was held Jan. 22 at the new Holy Innocents Prayer Garden in St. Patrick No. 1 Cemetery in New Orleans. Archbishop Gregory Aymond led a blessing of the new memorial, followed by songs and scripture readings from Holy Name of Jesus students and attendees. Families of children lost to abortion, miscarriage and other complications can memorialize their children by engraving their child's name in the new prayer garden. For more information, contact New Orleans Catholic Cemeteries at 504-596-3050. Shown are U.S. Rep. Mike Johnson, David Scotton, Sen. Bill Cassidy, Rep. Ralph Abraham and Benjamin Clapper at a screening on Capitol Hill. In just a little more than a month, I Lived on Parker Avenue will be released! The official online release date is March 8. The ILOPA team continues pre-screening the documentary around the country, and we need you to keep sharing information on the documentary with friends and family as the launch nears! Thanks to our Senators Bill Cassidy and John Neely Kennedy for voting to protect babies who feel pain earlier this week. Unfortunately, the Pain-Capable Unborn Child Protection Act (S. 2311) failed to get the 60 votes needed to go the floor for debate, with the vote being 51-46. Yes, 46 Senators voted in support of the legalized destruction of an unborn baby who may be able to live outside the womb. Let's pray and act until all 100 Senators realize that every baby needs our protection! Thousands March for Life in Louisiana! Scores of Louisiana citizens marched for life the past two Saturdays, first in Baton Rouge and last week in Bossier City-Shreveport, and there's one more 2018 Louisiana Life March event left for pro-lifers to show their support for mothers and their babies. Thousands are expected to march this Saturday from Pineville to Alexandria and share the message that Every Life Deserves a Lifetime. This is the third march in Central Louisiana, and each has been bigger than the year before! The Louisiana Life March Cenla begins on the grounds of Louisiana College in Pineville. The 1.6-mile march will go down Main Street toward the Jackson Street Bridge, cross the bridge and conclude at the amphitheater on the Alexandria side of the Red River, where a program will be held. Speakers include the personal testimony of Will Hall and his son, Jacob, David Scotton ( I Lived on Parker Avenue), Claire Lemoine with Cenla Pregnancy Center, and Pastor Brian Gunter of First Baptist Church Pollock. The Louisiana Life March South in Baton Rouge was Jan. 20. Though many area pro-lifers were in Washington, D.C. for the March for Life that weekend, more than a thousand people converged on Baton Rouge to show their support for life in a march from the Capitol to the Downtown Riverfront. Rain was expected, but it held off last Saturday morning so more than 5,500 pro-lifers could cross the Texas Street Bridge from Bossier City to Shreveport and share the message that Every Life Deserves a Lifetime. It was a powerful gathering of all ages, races and religious affiliations. I Lived On Parker Avenue, and received education and advice on the abortion issue and campus activism in Louisiana. Unfortunately, more than 500 students from the New Orleans area who planned to attend the rally at the Washington Hilton were unable to do so because their travel to D.C. was delayed by icy roads and flight cancellations. But the New Orleans-area students made it to Washington, D.C. in plenty of time to join the others from Louisiana at the annual March for Life. This amounted to about 1,500 students from Louisiana alone marching for life! Each group carried pro-life banners and signs and sang and chanted the whole way, including repeating "Hey hey, ho ho, Roe v. Wade has got to go!" The Marching 100 from St. Augustine High School performed along the route, and several students from the Archdiocese of New Orleans carried Louisiana Right to Life's large "Louisiana is Preaux Life" banner. Even though Roe v. Wade is a somber anniversary, each student from Louisiana marched joyfully as they celebrated the lives saved and their hope for ending abortion in their lifetime.